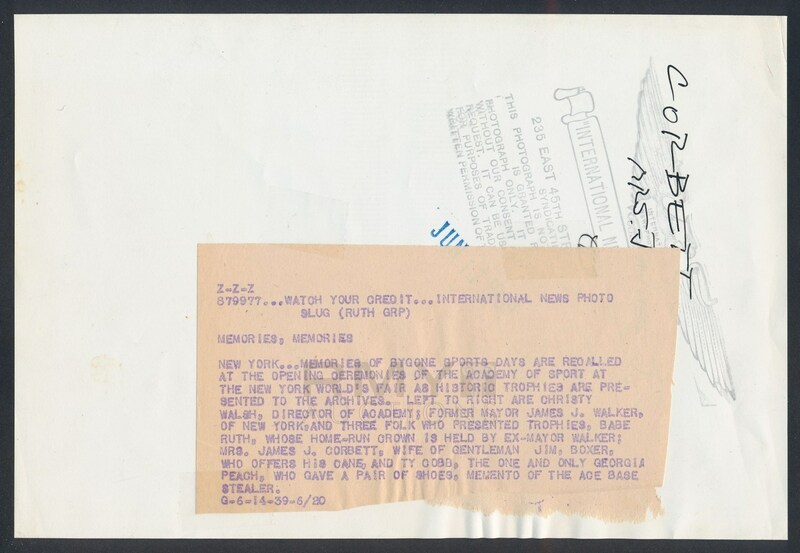 Lot # 43: 1939 Babe Ruth and Ty Cobb, "Relics Presented at Worlds Fair" Spikes and Crown! 1939 Photograph of the two greatest baseball players of all time as they presented their most valuable trophies for display at the World Fair in in New York. 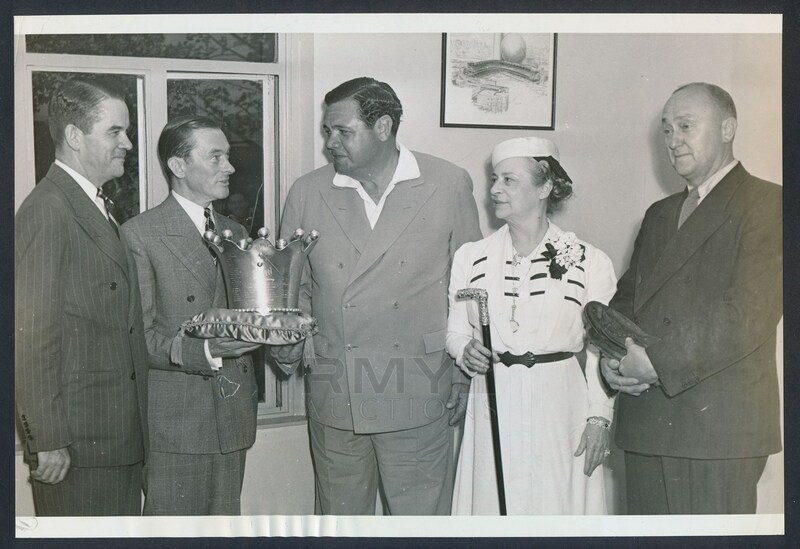 Babe Ruth is seen handing over his crown to Christy Walsh and Ty Cobb is seen at far right with his favorite pair of spikes he used to swipe a record number of bases in his hands! Also in the photo is the widow of James J. Corbett holding his walking stick. An incredible photo with early images of priceless sports memorabilia!